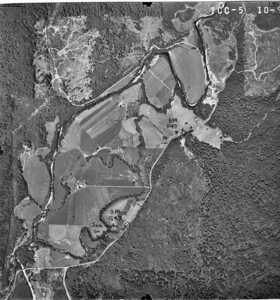 Images from MacDonald Road north arranged according to date taken, from 1939 through 1973. 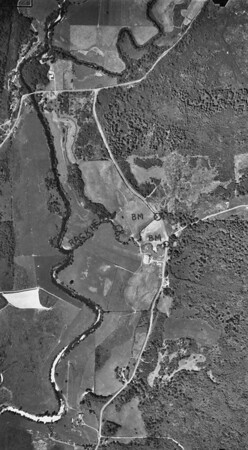 Current Smith farm and Riverside Estates taken 1939 for U S Army Corps of Engineers. 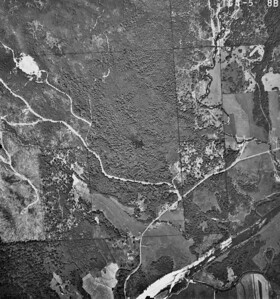 Highway 53 runs near bottom of the image. 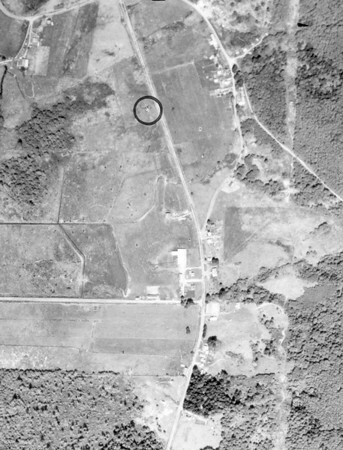 The horizontal line slightly above the center of the image is the Markham and Callow logging railroad. Highway 53 running top to bottom, Camp Four Road to right. 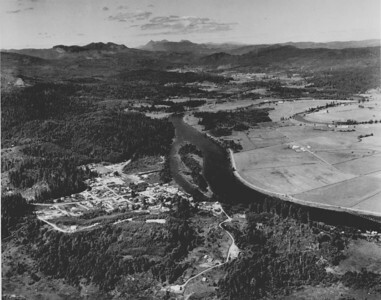 Taken 1960 for Tillamook County Assessor. 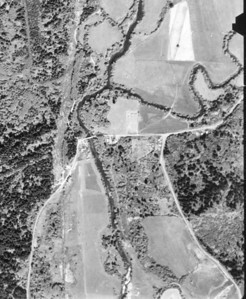 Junction of Nehalem Quarry Road and North Fork Road slightly right and below center of image. Taken 1965 for Crown Zellerbach Corporation. 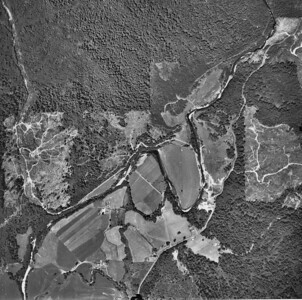 McDonald Bridge near bottom of image, Camp Four Road near top. 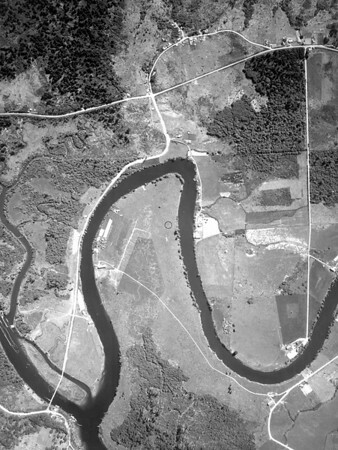 Taken 1939 for U S Army Corps of Engineers. 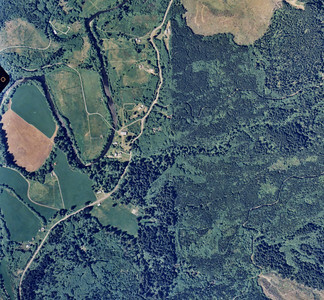 Aldervale bridge and junction near top of image. Taken 1960 for Crown Zellerbach Corporation. Current Smith farm and Riverside Estates area. Taken 1973 for Tillamook County Planning Department. Taken 1945 for Crown Zellerbach Corporation. Oldtimers -- where are we. This image from Pioneer Museum labeled McDonald bridge, but doesn't look familiar. 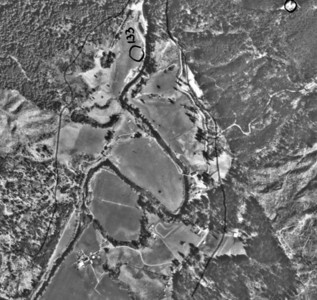 Aldervale area near bottom of image, Riverside Estates near top. Taken 1960 for Crown Zellerbach Corporation. Taken 1986 for Clatsop County public works. Looking north over Nehalem toward Saddle Mountain. 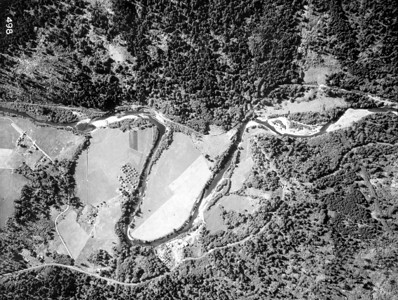 Taken 1950 by Boersig aerial studios. Current Smith and Tallman farms plus Riverside Estates area. Taken 1960 for Crown Zellerbach Corporation. 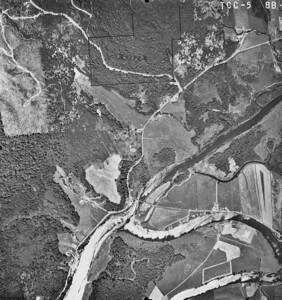 Aldervale Bridge (aka Scovill Bridge) near center of image. Taken 1960 for Tillamook County Assessor. 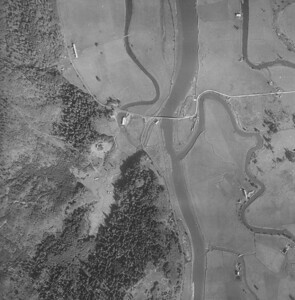 MacDonald Bridge near center, Nehalem Quarry Road starting at upper left corner. Taken 1965 for Crown Zellerbach Corporation.